Eleanor Roosevelt product is one of the top PG's available. 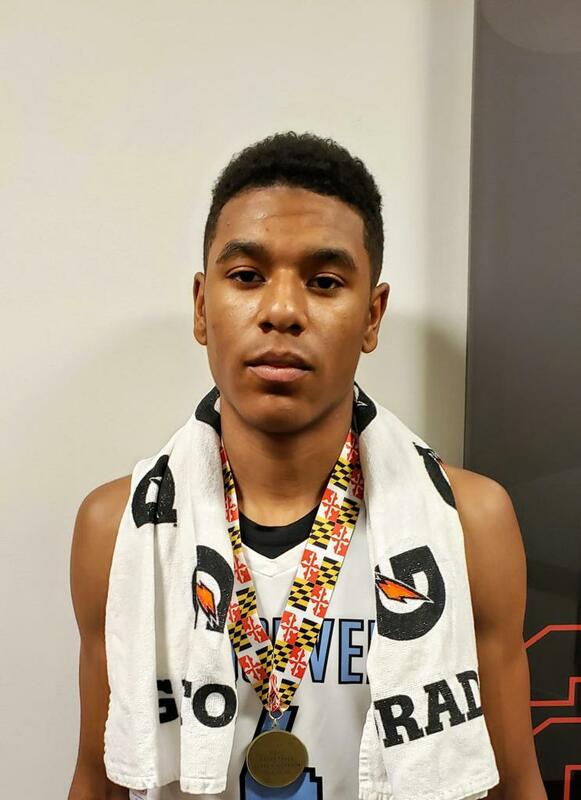 His name didn’t feature prominently in many of the recaps of Eleanor Roosevelt’s Maryland 4A state title win over Broadneck, but Kyle Rose’s fingerprints were all over the game. The 2019 point guard did a little bit of everything for the Raiders on Saturday, finishing with 6 points, 10 assists and 6 steals to cap his lone season at Roosevelt with a state championship. Rose spent his first three years at Rock Creek Christian. Rose admitted feeling “pretty overwhelmed in the beginning” of his first state championship outing, but as he settled in, his strengths were apparent. At 6-foot-3 and 175 pounds he’s bigger than most opposing guards, and his ability to change speeds smoothly keeps defenders off balance. Defensively, he plays passing lanes and anticipates well, and rarely gets caught out of position. As for his recruitment, Rose currently holds a handful of Division I offers, and is undecided about whether he’ll play travel ball to pick up any additional looks. CONTACT: Eleanor Roosevelt Coach Brendan O'Connell, District Basketball Club Director Devin Williams. ©2019 DMVelite / SportsEngine. All Rights Reserved.